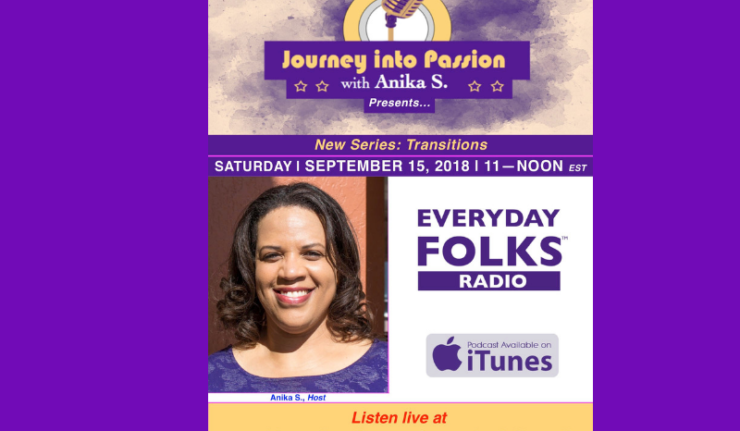 The return of Journey Into Passion with Anika S. on Everyday Folks Radio begins on September 15, 2018 at 11amEST! 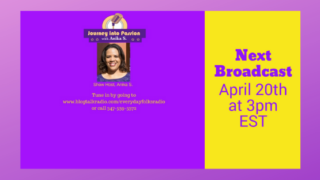 Show Host, Anika S., will begin a new series of discussions on Transition. She will begin with her recent life change and the transition that she is currently experiencing after the loss of her father. 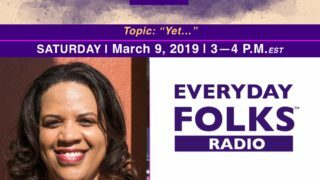 While continuing her journey, she will discuss the importance of using your gifts, connections, self -care and more. Anika S. hopes anyone going through this experience while continuing on their own journey will get the help they need to persevere.